Licensed for security camera installation. Everyone says they install cameras. With the advent of IP cameras, you’ll find every schmuck with a truck offering camera system installation. They may be familiar with how to set up a network, but are they licensed and trained? Do they know the codes and laws governing the work they are doing? 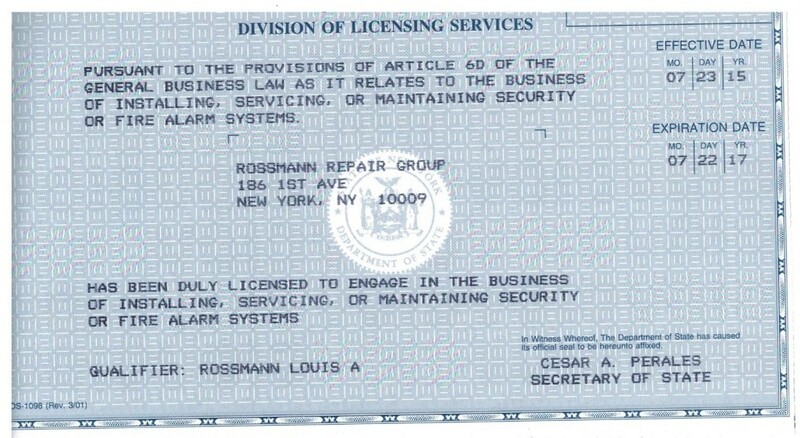 We are licensed by the Department of State and keep our license up to date so that the work we do is legal. More codes than you could imagine. Something as trivial as the coating used on a wire when it is going from the basement to the 1st floor, or through a certain type of door, can be the difference between a legal job and a job not to code. As a licensed installer you can rest assured that the work we are doing will not have to be pulled out and redone should an inspector come onto your premises.